VTN Routing Valve is used to detour the pneumatic transportation of products without previously emptying the pipes. Thanks to its unique design, a perfect and lasting seal is guaranteed, thus minimizing energy waste. Due to the fact that the diverter is manufactured in two stages, the routing tongue´s seat automation is guaranteed, thus allowing the seal to be precise. 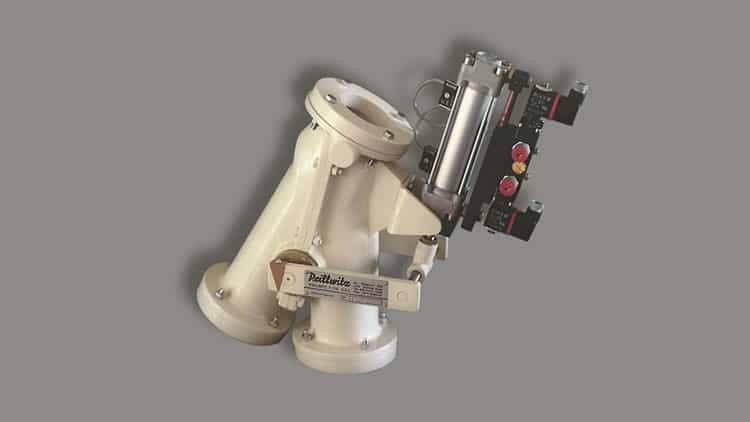 Moreover, when diverters are manufactured this way, the seal happens to be hidden, thus preventing its wear and tear and, consecuently, eliminating possible leaks and the need of maintenance. Routing valves are available in two versions: one with manual control, and one with pneumatic cylinder and electrical valve. The later version allows the remote operation thus facilitating automation. Their main body is normally constructed with aluminium while the remaining parts are made of carbon. Nevertheless, it is possible to manufacture them in other materials suitable for conveying corrosive products.